Candle in the Wind and Abraham Martin & John are two examples of songs written about the death of famous people, Tears in Heaven and Fix You are examples of songs about the death of family members and The Killing of Georgie and Do You Realize, the brief top 40 hit for the Flaming Lips in 2002 are songs about the death of friends. 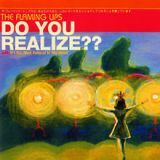 The roots of the Flaming Lips began in 1983 with lead singer and primary songwriter Wayne Coyne and bassist Michael Ivins being the two mainstays throughout. There had been 11 members in total that have come or gone since including Wayne’s brother Mark who stuck around for the first 18 months. Do You Realize, although not their highest charting, is probably their best known thanks to its ubiquitous use on TV commercials for VH1 as well as products like Mitsubishi and Hewlett-Packard computers, but its inspiration came from the sudden death of a Japanese friend of Waynes. The song was lifted from the album Yoshimi Battles the Pink Robots which reached number 13 and spent almost four months on the album chart. It also contained part one of the title track and Fight Test which became the follow-up singles and peaked at numbers 18 and 28 respectively. In the early 2000s certain States in America got their own ‘official state Rock song’, Ohio was the first with The McCoys’ Hang on Sloopy and Washington being the second with Richard Berry and the Pharaohs’ original version of Louie Louie. In March 2009 it was Oklahoma’s turn and 458 songs were submitted to an Oklahoma Rock Song Advisory Panel who narrowed the list down to 10 which was then put out to an online vote and Do you Realize won to become Oklahoma’s official State song. The Flaming Lips are still recording and although haven’t released a single since 2006 their album output is as strong as ever with At War with the Mystics (2006), Once Beyond Hopelessness (2008), Embryonic (2009), The Flaming Lips and Heady Fwends (2012), The Terror (2013) and With a Little Help from My Fwends (2014) all receiving positive reviews. Over the last 10 years Coyne has found a higher and more fragile register for his falsetto. Much of 2013 was turbulent for Coyne because he faced abuse from disgruntled Heady Fwends collaborator Erykah Badu and a separation from Michelle, after 25 years.